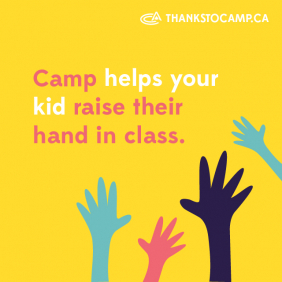 Our 3-night/4-day Overnight Tyke Program is perfect for any active boy or girl between the ages of 6 and 7 years, who wants to enjoy an overnight summer camp experience for the first time. The Overnight Tyke Program is ideal for 6 or 7 year old boys or girls who want to experience the fun and excitement of traditional summer camp for the first time, but aren't quite ready to stay for a full week. For most young kids (and their parents), staying a whole week at an overnight summer camp is a bit too overwhelming. A typical week at HOC runs Sunday to Saturday, but this special shortened program runs for 3 nights/4 days only, Wednesday to Saturday. While the Overnight Tyke Program doesn’t involve hockey, the idea is to give campers a taste of what HOC and traditional summer camp is all about, by participating in a variety of land and/or water based camp activities. Some of our most senior staff are assigned to the program and availability is limited per session (8 Male Spots, 6 Female Spots) in order to ensure a quality staff to camper ratio. This program allows parents to test the waters and see if their child enjoys the summer camp experience. It may also be the beginning of their child's lifelong love of summer camp. Either way, it is our goal to provide our young campers with the best summer camp experience, all in a safe and fun environment.